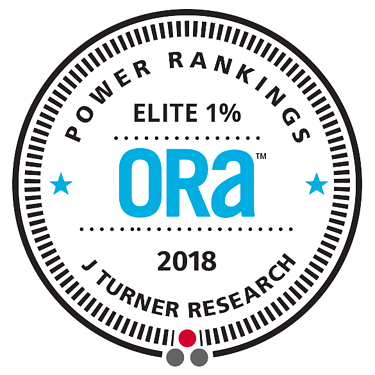 J Turner Research announces the 2018 Elite 1% ORA™ Power Ranking of properties with the best online reputation in the nation. A total of 1,234 properties made it to the ORA™ Elite club. Our footprint has grown substantially, we now research over 101,000 properties across 19+ review sites and ILSs. Now in its fifth year, this ranking is released in association with our media partner, Multifamily Executive. Note: ORA™ Power Rankings are independent rankings. A property or management company does not have to be J Turner Research client to qualify for our monthly or annual rankings. Don't see your property on the Elite 1% list? Request your ORA™ Score to find out where you stand! Disclaimer: A property had to register a minimum ORA™ (Online Reputation Assessment) score of 89 and have at least 12 online reviews to be included in this ranking. For properties with the same ORA™ score the property with the higher number of reviews ranked higher. Compare and contrast individual properties and portfolios - locally, regionally, and nationally. See where you outrank the competition, and see where you don’t. Compare and contrast individual properties and portfolios - locally, regionally, and nationally. See where you outrank the competition, and see where you don’t. Compare and contrast individual properties and portfolios - locally, regionally, and nationally. See where you outrank the competition, and see where you don’t.